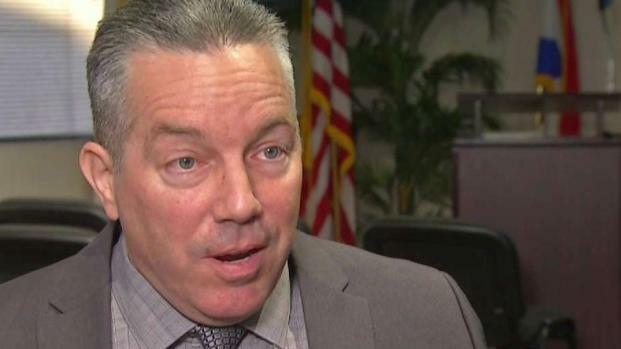 The Los Angeles County Sheriff's Department concluded that a former deputy accused in a domestic violence complaint, "refused to accept responsibility for his conduct," and should be terminated. "Society cannot countenance a law enforcement officer who lies," the Sheriff's internal affairs unit wrote in a 2017 memo about Caren "Carl" Mandoyan, who was recently reinstated by Sheriff Alex Villanueva. The document, obtained by NBC News, was part of the County's Civil Service Commission's review of Mandoyan's firing and has not been seen publicly before. Villanueva has said he believed the Commission's decision to terminate Mandoyan was unjust. Los Angeles County Sheriff Alex Villanueva, sworn in just two months ago, answers criticism by the LA Board of supervisors and the Los Angeles Times. Mandoyan's attorney for the Commission review appeared to ridicule the Sheriff's case in a legal response, saying the domestic violence accuser had fabricated a, "non-existient episode of domestic abuse." The Sheriff's memo details the allegations made by a female deputy, who claimed Mandoyan choked her during a domestic dispute in El Segundo in 2014. The woman said Mandoyan kicked in the door of her bathroom after she'd locked herself inside to try to get away. The female deputy applied for an emergency restraining order several months later after she said Mandoyan later tried to break in to her house. The order was dropped after neither the woman nor Mandoyan appeared for a hearing, according to the court staff. The female deputy also accused Mandoyan of sending harassing text messages to her cellphone. The LA County District Attorney's Office declined to file a criminal charge against Mandoyan, according to a prosecutor's memo. The memo said the female deputy had provided video of Mandoyan's alleged break-in attempts and images that she said showed bruising on her neck. 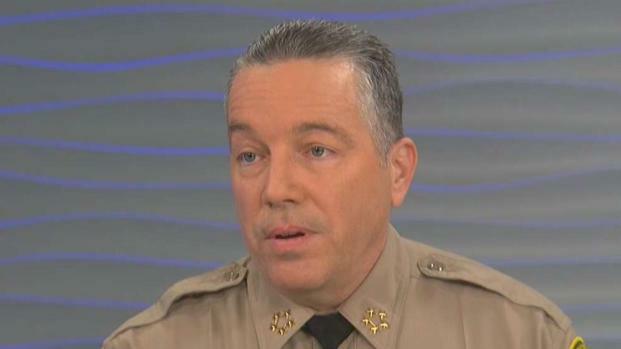 The Sheriff's case memo said the source of the alleged text messages were unclear, but based its conclusions on what it described as facts, "overwhelmingly established by the credible evidence." 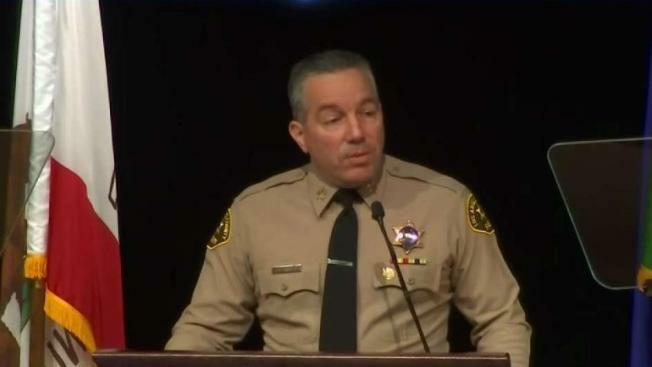 Los Angeles County Sheriff Alex Villanueva defended his reinstatement of a deputy fired after allegations of domestic violence and stalking. Eric Leonard reports for the NBC4 News on Tuesday, Jan. 29, 2019. "Appellant [Mandoyan] committed multiple acts of misconduct, and then repeatedly lied during his subject interview, even after being shown video evidence that disproved his explanations," the memo said. "Appellant has violated the trust of the County and Department and discharge is the only appropriate disciplinary penalty." NBC also obtained a copy of Mandoyan's written "closing argument" in the civil service proceeding, in which his attorney, Michael A. Goldfeder, described the woman's allegations as "domestic vengeance." Goldfeder told the Commissioners the woman's domestic violence report was, "blatantly false and contrived," and, "fantasy allegations." "The termination by the LASD has no basis in fact given the fatally flawed underpinnings and concocted falsehoods of nonexistent domestic abuse and other insulting events that did not in fact ever take place," the attorney wrote. "Appellant should be immediately reinstated to his position ... forthwith with restoration of all back pay and benefits from his date of termination." Mandoyan also told the commissioners in the filing the female deputy threatened him in a phone call a month before she filed the police report. The Commission upheld Mandoyan's termination. Villanueva said earlier this year he believed that commission's decision on Mandoyan was unjust, because Villanueva said he was skeptical of the credibility of the female deputy. Mandoyan's termination case was reopened within days of Villanueva taking office. Mandoyan had worked as a campaign volunteer for the Sheriff. The reinstatement is now the subject of an unusual legal fight between the County and Villanueva. A judge will hear argument in June on whether or not the Sheriff has the authority to set aside or overturn employment decisions made by the County Civil Service Commission. An LA Superior Court Judge declined the County's request to issue an emergency order to take away Mandoyan's gun and badge. Villanueva told the board of supervisors earlier this month he'd put off decisions on whether to reinstate hundreds of other deputies, who he said, might have been improperly fired. Villanueva said he was still in the process of forming a so-called "Truth and Reconciliation" group to review the cases. "They're pretty much frozen right now," the Sheriff said, until the legal dispute is resolved in court. Supervisor Kathryn Barger said at the meeting she had seen some of the confidential documents on the Mandoyan case and said the County was right to fight against Mandoyan's reinstatement. She said at the time it was unfortunate the information couldn't be made public. "It's frustrating because it's my word versus your word," Barger told the Sheriff.